Learn the ABCs of Safe Sleep which includes the research behind the recommendations and ways to encourage parents to follow through with safe sleep recommendations. This training, given by Infant Loss Resources, will allow your organization to participate in the Pack-n-Play distribution program. Please park in the lot behind the building accessible from Devlin off West Park. There is also parking available behind Taco Bell accessible from Hampton. Please DO NOT park on West Park, that is residential parking. The office entrance is the last door on the side of the building facing West Park. 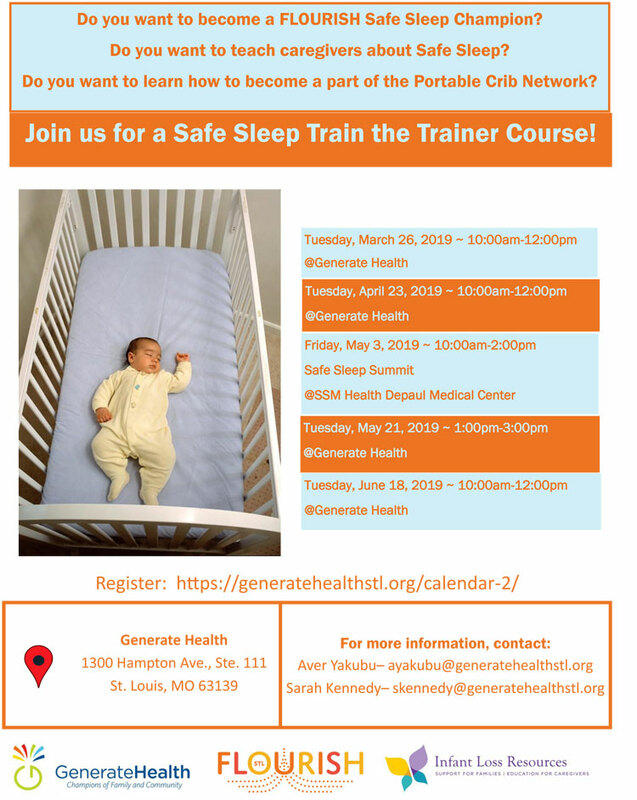 If you have questions about the training, contact Sarah Kennedy at skennedy@generatehealthstl.org.